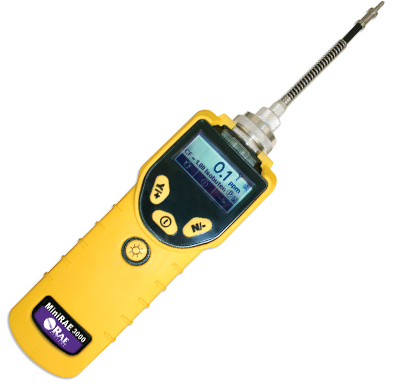 Whether for industrial hygiene, leak detection, or HazMat response, the MiniRAE 3000 delivers the most advanced VOC monitoring capabilities on the market. With a photoionization detector (PID) that has an extended detection range from 0-15,000 ppm, a rapid three-second response time, built-in correction factors for more than 200 compounds, and patented auto-cleaning sensor technology, the MiniRAE 3000 can measure more chemicals faster and more accurately than any other PID available.The powerful sample pump draws through up to 100 feet of tubing horizontally or vertically. And the optional built-in Mesh Radio enables real-time monitoring of instrument readings wirelessly.